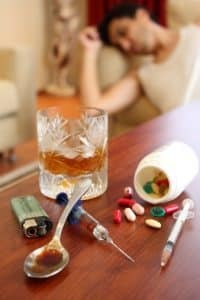 Many drugs that are available for treatment can also be abused by people with addiction problems. Xanax is often used to treat anxiety disorders and panic disorders. However, like many drugs in the benzodiazepine category they can lead to substance abuse such as Xanax addiction. Xanax is the brand name of a compound called alprazolam. Alprazolam is one of a category of drugs called benzodiazepines. These drugs work by enhancing the effect of the brain chemical called gamma-aminobutyric acid, or GABA, at the GABA receptor in the brain. These drugs work as hypnotics, sedatives and muscle relaxants. They also reduce anxiety. Xanax is often prescribed for social anxiety, panic disorder and nausea that occurs during chemotherapy. It is a fast-acting medication that begins to take effect in as little as 30 minutes. However, it can also cause people to develop a tolerance so that they require more of the medication to achieve the desired effect. It can also be addictive and may cause withdrawal symptoms when stopped. Some people use Xanax along with alcohol or other drugs to achieve a feeling of euphoria that can be very addictive. Those people who are addicted to Xanax often report complete destruction of their memories and even false memories. They often seem like people on autopilot who cannot properly engage in conversations and cannot contribute to family events or relationships. They may have a variety of physical ills, such as headaches, stomachaches, coordination problems and vision problems. They become rather zombie-like, moving around but not understanding or participating in events around them. They may become paranoid or suicidal. They are incapable of engaging in work activities and suffer financial setbacks. Legal problems may occur because of forging prescriptions or stealing money for more drugs. Treatment for Xanax addiction begins with detoxification to stabilize both your physical and mental state. Experienced staff is available to assist your through this process and will administer medications to help with symptoms. After detox, you can begin to explore the causes, triggers and habits that lead to addiction. Through group therapy and personal exploration, you can begin to understand why you became addicted and how to manage your emotions and behaviors to achieve complete recovery. When youâ€™re ready to get help for your Xanax addiction, look for treatment center that offers a variety of treatment options that can fit your individual needs. At Sober Solutions, our counselors can provide information on treatment services available to help you find a path to recovery. Call today at 1-888-762-3730.